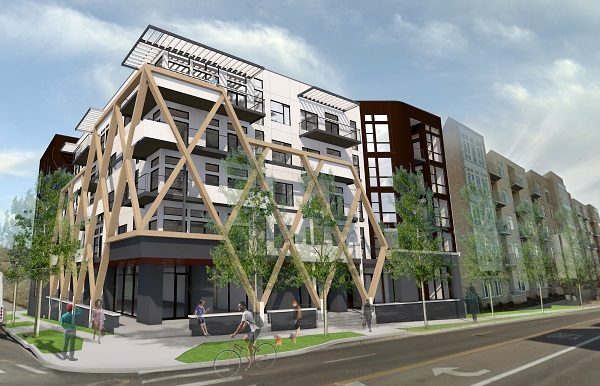 A five-story condo project is underway at the corner of 29th Avenue and Zuni Street in LoHi. 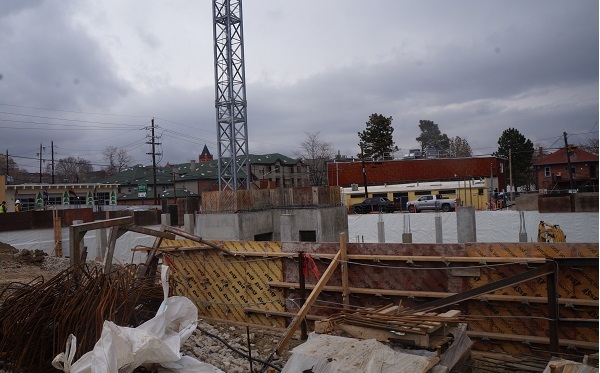 The 46-unit development, complete with ground-floor retail and underground parking, is slated for completion in spring 2020, according to Rachel Gallegos of MileHiModern, who is listing the condos. “Three-bedroom condos in Denver is just unheard of,” Gallegos said, adding several units are under contract. On the ground floor will be 2,800 square feet of retail space, broken into two units. Gallegos said “a very well-known restaurant in Denver,” which she declined to specify, has signed on to take one of the units, and is in talks to potentially take over the second as well. The project also will include a 46-car below-grade parking garage, bike storage and a rooftop deck. The condo project will feature environmentally friendly additions, including solar panels, high-efficiency appliances and water fixtures, smart thermostats and a “tight building envelope,” which prevents energy loss, according to marketing materials. Symmetry Builders is the general contractor on the project, which is designed by Sprocket-Design Build. Construction began last October, Gallegos said. Elsewhere in the area, Urban Green Development is behind projects such as Reed Street Townhomes in Lakewood and Factory Flats in RiNo.